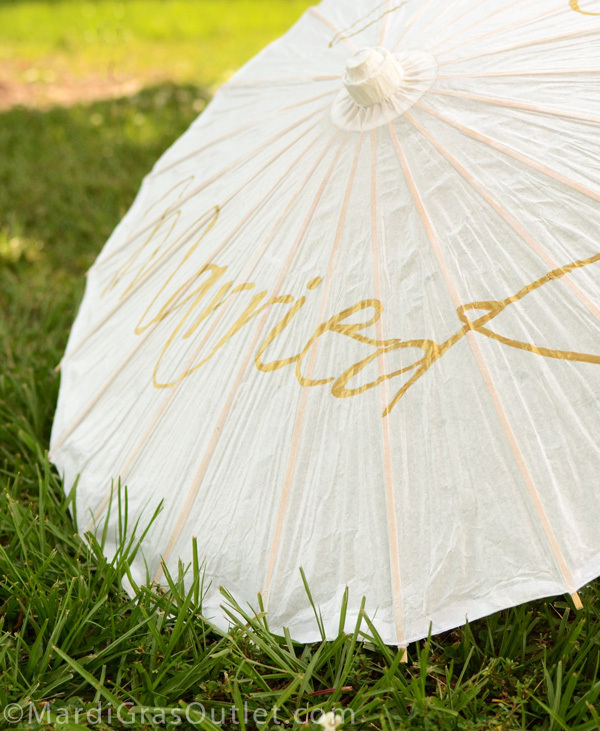 Personalized Hand Painted Wedding Parasols are a current elegant wedding trend that you can easily make yourself. 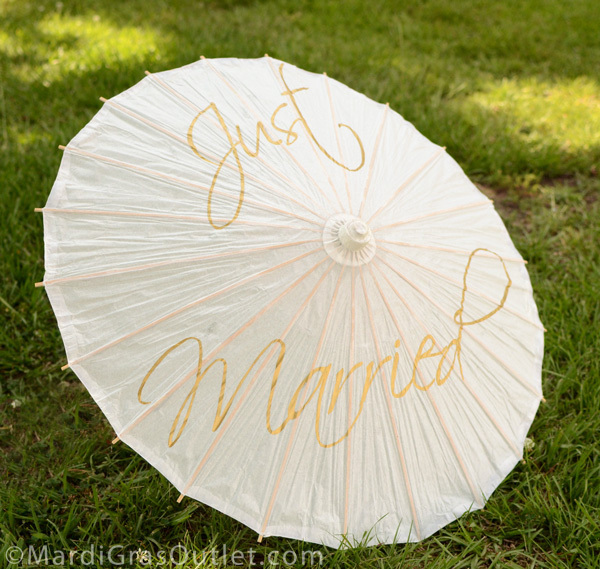 In New Orleans, it is a tradition for umbrella toting brides to have a second line dance at their reception. Guests and wedding attendants join in the dance waving umbrellas and white handkerchiefs. Recently pretty painted umbrellas have been turning up outside of Louisiana. Laissez les bons temps rouller! While the hand lettering looks like it would be best left up to a professional artist, the printable template (available below) makes it simple for anyone. 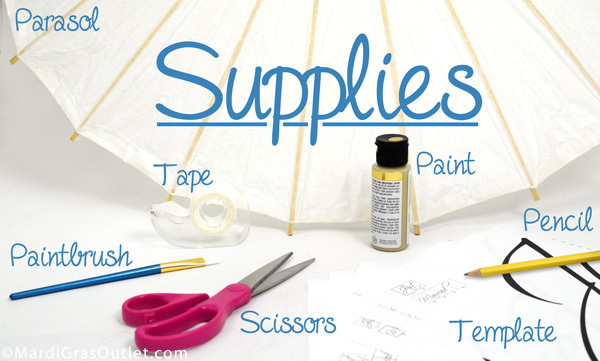 Our DIY tutorial will show you how. 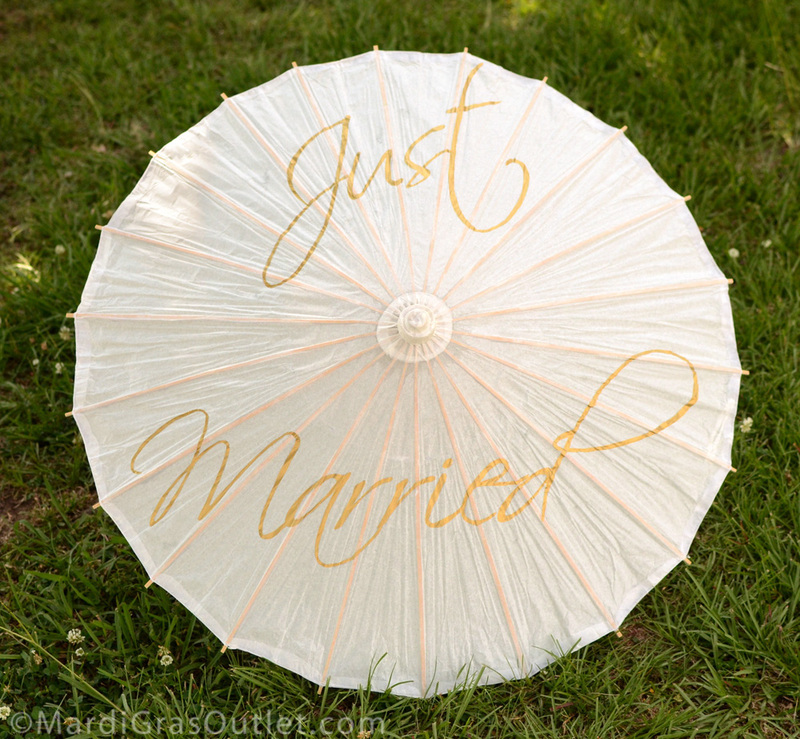 Bring the Louisiana tradition of a Second Line to your wedding festivities with a pretty painted parasol! 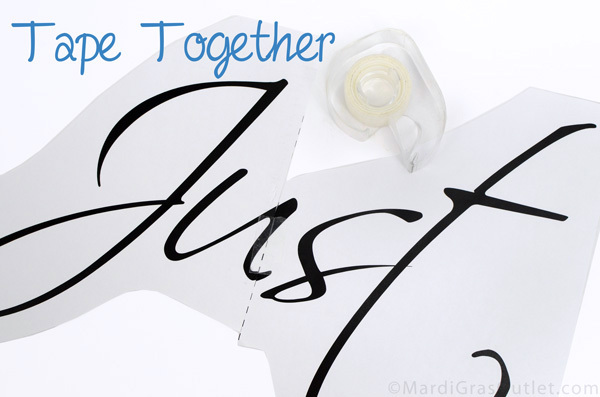 We have made a free printable template that reads "Just Married" in a script font to help you out with this project. You will need a PDF Reader in order to download this file. Need one? Click here to download it. 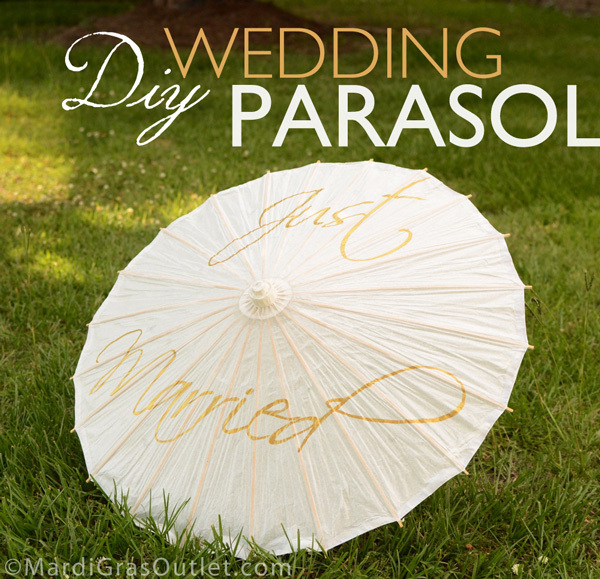 This template is sized to fit this 22" parasol perfectly (32" wide when open). Click below to download the painting template. There are 6 pages that you need to print out. Regular copy paper and a desktop home printer work fine. We made the template easy to follow by including a guide on each page that indicates how to line-up the letters. 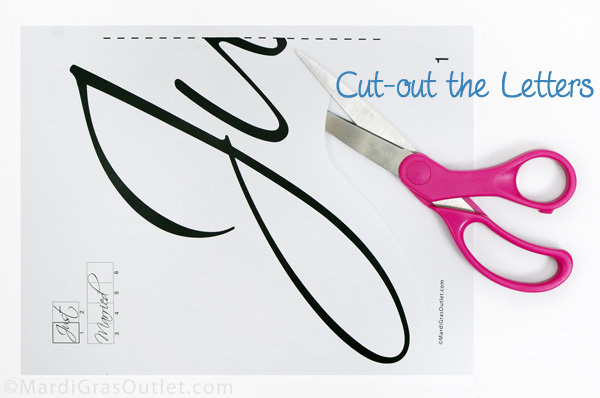 Once you have printed out all 6 pages, loosely cut around the letters on each page. 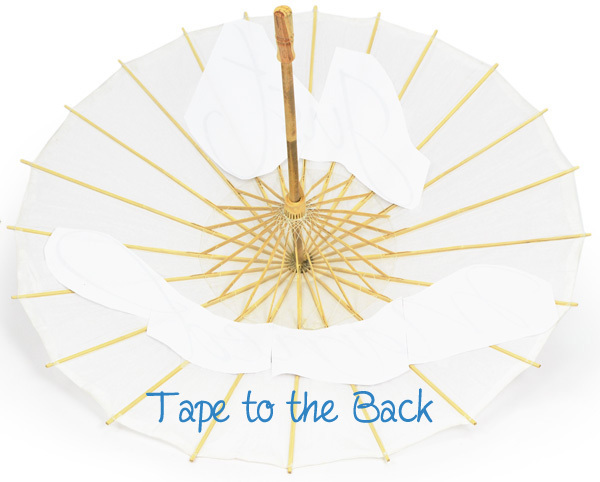 This just makes it easier to tape the template to the parasol later. The only precise scissor action will be to follow the straight dotted lines. Use the dotted lines that divide the words to put each each word together. Simple line up those edges and tape each word together. Flip the parasol up-side down. Place the words face down on the parasol. Tape them to the inside. Turn the parasol around and make sure the letters look good where you have placed them. 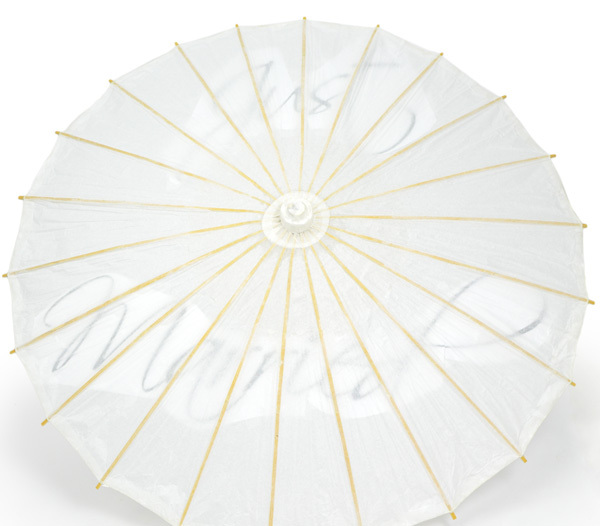 You should also be able to see the letters through the paper parasol. Trace the outline of each letter using a dull pencil so that you don't poke through the paper. It also helps to hold behind the paper with your hand as you trace. First, remove the template that is taped to the back. 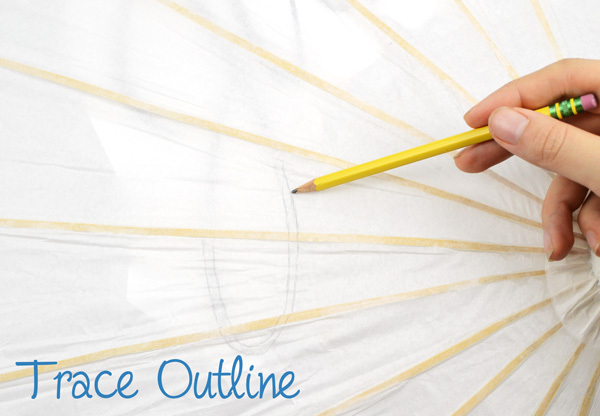 Use a flat, angled soft-bristle brush to fill in the penciled outlines on the front. 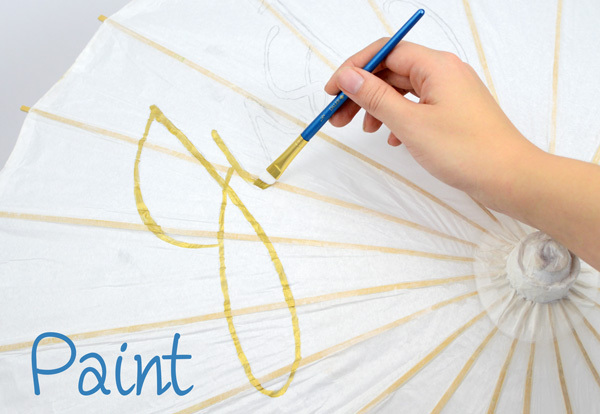 This is acrylic craft paint in metallic gold, but you can use other colors to coordinate with your wedding. And that's it! Time to show it off!